A bottle of Macallan 1926 60-year-old single malt whisky with a label designed by Italian artist Valerio Adami has been sold for £848,750, breaking the auction world record set in Hong Kong earlier this year. The bottle – one of only 12 created with a label designed by the acclaimed pop artist in 1993 – had been expected to fetch £700,000-900,000 at the Bonhams auction in Edinburgh. Bonhams reported ‘a huge amount of buzz’ in the saleroom, with a private buyer from Asia securing the winning bid by telephone. 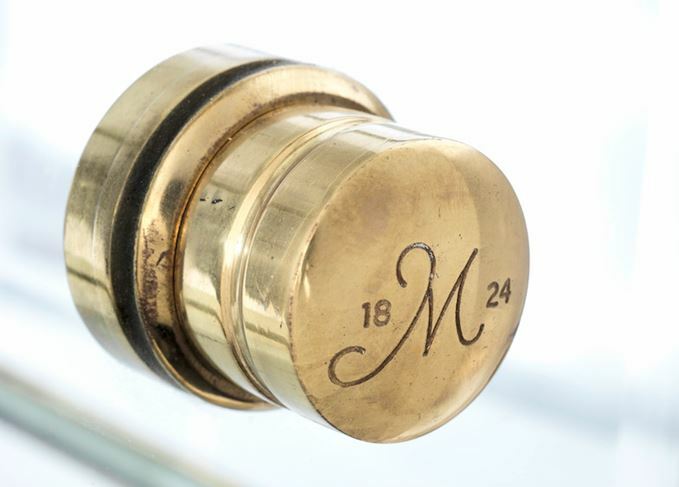 The bottle sold in Edinburgh was bought by the vendor direct from the Macallan distillery in 1994 for an undisclosed sum, and was part of a wider collection from the same individual offered in the Bonhams sale. It breaks the previous world record of £814,081 (HK$8,636,250/US$1.1m), set in May this year at an auction in Hong Kong, and means that Bonhams has sold the three most expensive bottles of whisky in auction history. 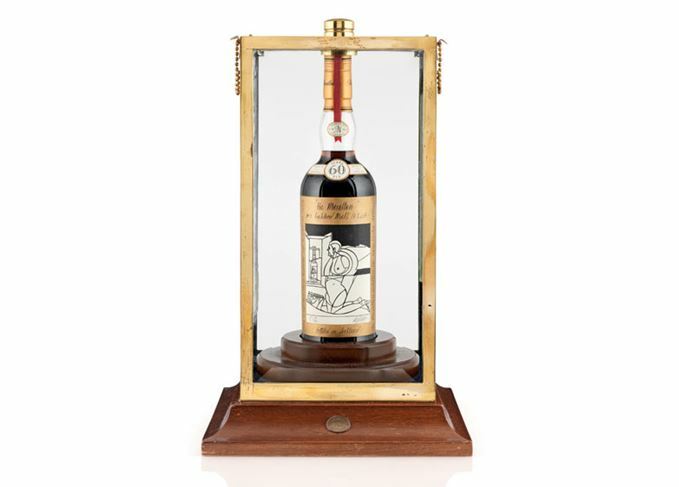 A bottle of Macallan 1926 60-year-old, with a label designed by British pop artist Sir Peter Blake, was also sold at the Bonhams sale in Hong Kong, for £752,000 (HK$7,962,500/US$1m). All figures include a buyer’s premium. ‘It is a great honour to have established a new world record, and particularly exciting to have done so here in Scotland, the home of whisky,’ said Martin Green, Bonhams whisky specialist. But the record might not last long: Sotheby’s is due to auction another Sir Peter Blake Macallan 1926 60-year-old in New York next week, with a pre-sale estimate of US$700,000-1.2m. Only 12 bottles each of the Sir Peter Blake and Valerio Adami Macallan 1926 60-year-old whiskies were released by the Speyside distillery, in 1986 and 1993 respectively. The whereabouts of all of the bottles is not known, but Macallan has three of them, and six have surfaced this year alone: the three auctioned by Bonhams, the Sotheby’s example, plus a pair that were sold for US$600,000 each by Dubai Airport retailer Le Clos in April this year. Adami bottle number one is reputed to have been destroyed in an earthquake in Japan in 2011 and at least one Blake example has been opened and drunk. Each bottle is presented in a cabinet known as a tantalus, inspired by the ‘brass and glass’ of a traditional distillery spirit safe. The 1926 bottle with a label designed by Sir Peter Blake sold for US$843,200 in New York.